Same product ..new label. This great oil is one of my favorites and can be used for sunning. during the dry winter months. Dry, scaly skin disappears. Tamanu Oil is to be used topically only. It is NOT for internal use and should be used only for the skin. 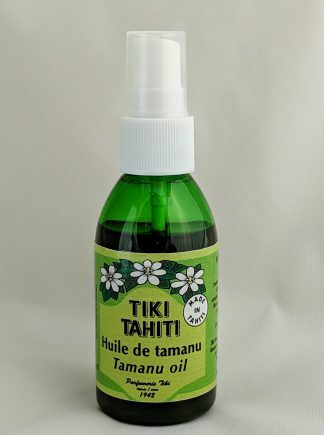 People with allergies to nuts of ANY kind should NOT use Tamanu Oil.